Tokyo, July 3, 2017 - NEC Corporation (NEC; TSE: 6701) today announced that it has developed data processing technology that accelerates the execution of machine learning on vector computers by more than 50 times in comparison to Spark technologies (*1). This newly developed data processing utilizes computing and communications technologies that leverage "sparse matrix" data structures in order to significantly accelerate the performance of vector computers in machine learning. Furthermore, NEC developed middleware that incorporates sparse matrix structures in order to simplify the use of machine learning. As a result, users are able to easily launch this middleware from Python or Spark infrastructures, which are commonly used for data analysis, without special programming. "This technology enables users to quickly benefit from the results of machine learning, including the optimized placement of web advertisements, recommendations, and document analysis," said Yuichi Nakamura, General Manager, System Platform Research Laboratories, NEC Corporation. "Furthermore, low-cost analysis using a small number of servers enables a wide range of users to take advantage of large-scale data analysis that was formerly only available to large companies." 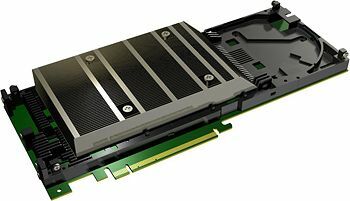 NEC's next-generation vector computer (*2) is being developed to flexibly meet a wide range of price and performance needs. This data processing technology expands the capabilities of next-generation vector computers to include large-scale data analysis, such as machine learning, in addition to numerical calculation, the conventional specialty of vector computers. NEC will introduce this technology on July 5 at the International Symposium on Parallel and Distributed Computing 2017 (ISPDC-2017) held in Innsbruck, Austria, from Monday, July 3 to Thursday, July 6.